Hereford: They say that 50% of small businesses fail within their first year of existence. What percentage fail within their first fifty years? (My conservative estimate: 99.9%.) What does it take to stay around that long? 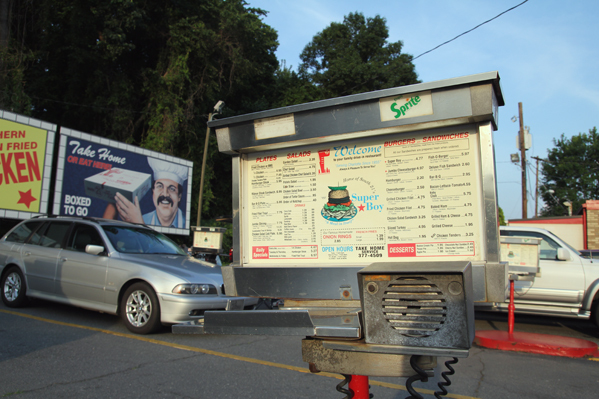 We hoped to find out at the latest place for us to review: the South 21 Drive-In, which has been open and serving Charlotte since 1955. Angus: Think about that; when South 21 was founded Eisenhower had yet to win re-election as president. Since they have opened, entire nations have been founded and have gone out of existence. Fashion trends have come into style, become passé, come back into style as retro, and have become passé again. When South 21 was founded, the Dodgers were still in Brooklyn, the Lakers were in Minnesota, and the A’s were in Kansas City. The Dumont network was still in existence. America is barely recognizable anymore (and let’s not forget, there are very many ways in which that is a good thing), but South 21 is still there, doing things the way they always have. 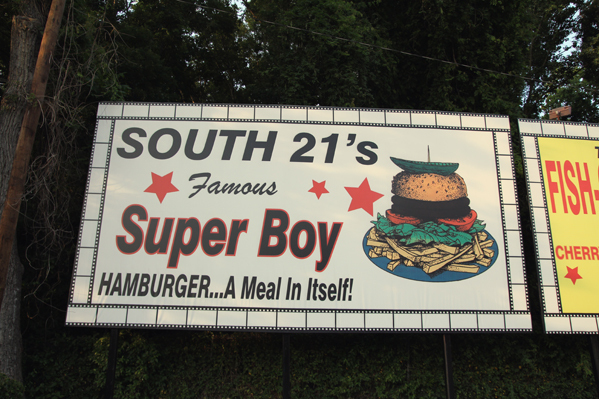 I should say, though, that the South 21 I first fell in love with was the one on South Blvd. (which I believe was the original location.) I was sad to see that place close, and sadder still to see it overrun with weeds and rust. When they finally tore everything down it was a relief. Angus: South 21 has several locations in the area. Instead of each new place being a clone of each other, they each have their own identity. The one on Highway 16 (going towards Mountain Island) is very plain, with a small dining room. The South 21 Junior in the university area is even smaller and feels like a walk-up cafeteria. The one in Matthews is very nostalgic, with pictures of old cars on the wall. But the one on Independence is the same as it was when it was built in 1955. I suppose that makes it nostalgic too, but it’s an earned nostalgia. They didn’t have to put anything up to remind you of the past—they just had to not take things down. When I go I try to remember that when it was built it was hip and new, a part of a larger movement in America that reflected an appreciation of cars and teenagers. Now, South 21 is antiquated (in a good way). They’re a living glimpse of our past. Hereford: When we visited South 21 we took our friend Matthias along, who is a life-long Charlottean. He’s been coming here since he was a kid in the 70’s and 80’s, squeezed into the backseat of his parents’ Chevy Caprice Classic between his two brothers. And every time I went I got a hamburger. I don’t think I ever got anything else. This place is an important part of my memories growing up. What’s amazing is how little it’s changed. They’ve replaced the billboards in the back area of the parking lot, but they still look pretty much the same. The menu is the same. The entire place seems to exist in its own bubble in time. Hereford: It was a beautiful Saturday afternoon when we visited, and before we ordered, we decided to walk around a bit. Angus took out his camera and took some pictures (my favorites of all the pictures he’s taken for the blog). One of the servers saw him and walked over to say hello. He asked us if we were with the Food Channel. Angus: Sheepishly, I said no. Obviously, South 21 is accustomed to people who are a bigger deal than us stopping by. 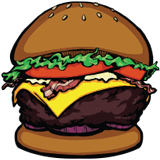 They have been featured in Diners, Drive-Ins, and Dives and in George Motz’s book Hamburger America: A State-by-State Guide to 150 Great Burger Joints . 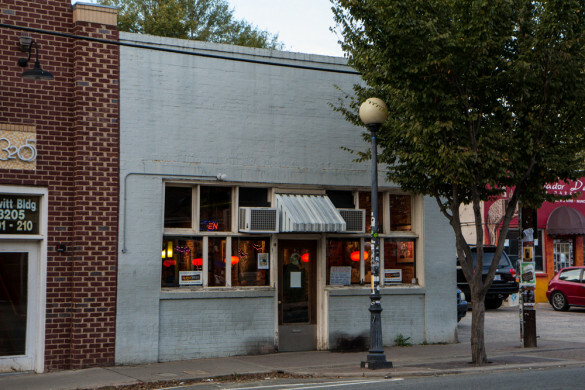 As has happened before , we were just the latest people to come by and gush about the place. Hereford: After getting some pictures it was time to put in our order, which you do at the intercom/menu station you pulled your car up to. When you’ve made your decision you press the Service Phone button (only once!) and tell them what you want. When it’s ready they bring it out. Your car is your dining room. We had to get that. Hereford: A few minutes it was out to us ready to eat. It was a nice day, so we stood outside the car and ate and talked. Angus: I guess I should start by noting that technically we didn’t get Super Boys. 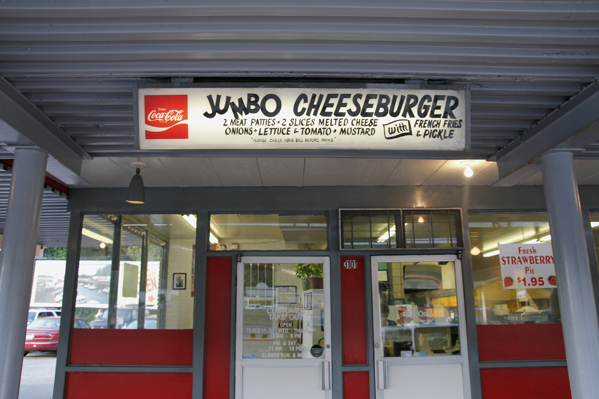 I know, we just made a big deal about how that was what we ordered, but we actually got Jumbo Cheeseburgers, which are the same thing but with cheese. But that sounds far less cool, so we won’t call them that. 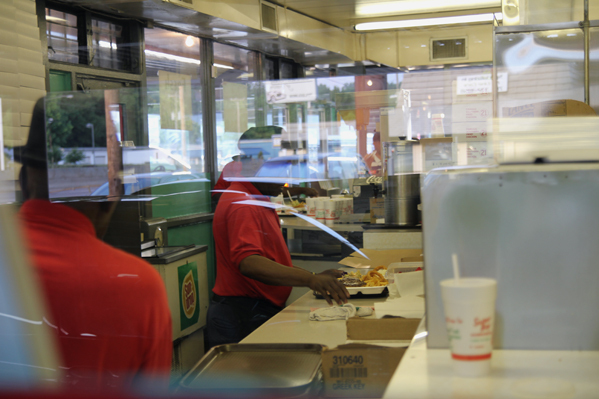 And besides, if you say you want a Super Boy with cheese they know what to bring out to you. Besides cheese, I got mine with bacon and mayonnaise and no tomato, no onion, no mustard, and no pickle (I know, that’s just about every ingredient, but I’m picky). 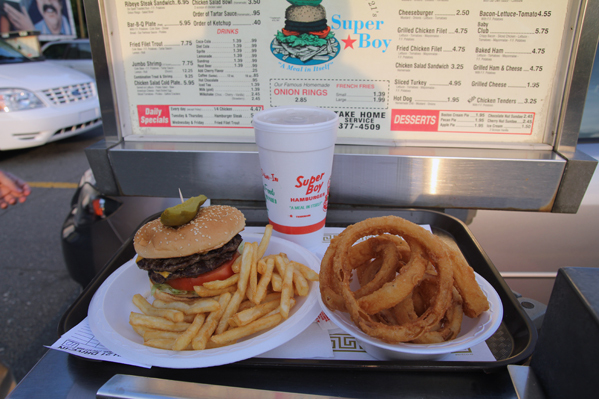 The Super Boy is a classic diner hamburger, with great ingredients. It’s greasy, and thin, but in its own way it’s perfect. 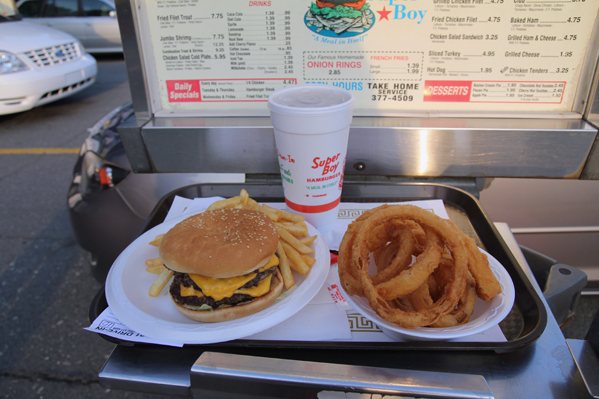 It reminded me of my other favorite classic burger from Zack’s. 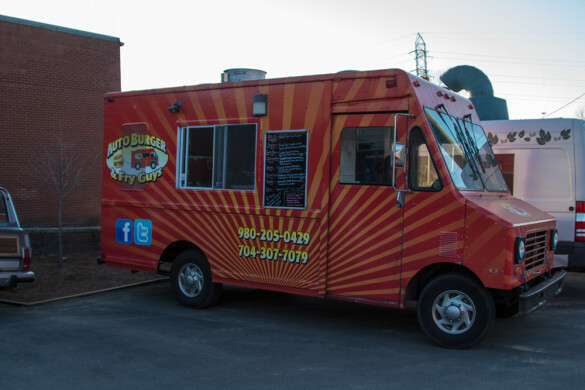 There are a lot of great burgers in Charlotte that do a lot of great different and amazing things. They challenge what you think a burger is, and I love that. But South 21 is just straight-forward, classic awesomeness. I got mine with onion rings. I would say that South 21 has among the best onion rings I’ve ever had. Perfectly fried, and perfectly crunchy, they are a study in how to make them. They were fantastic. 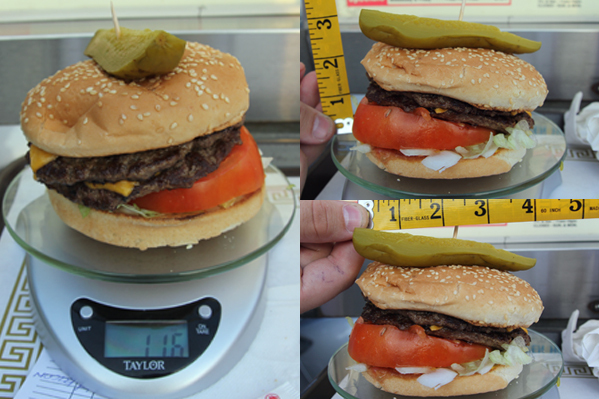 Hereford: Although my Super Boy weighed much more than Angus’s (it should, I ate it with all the ingredients), it’s still slightly below average when you compare it to the other burgers I’ve reviewed. 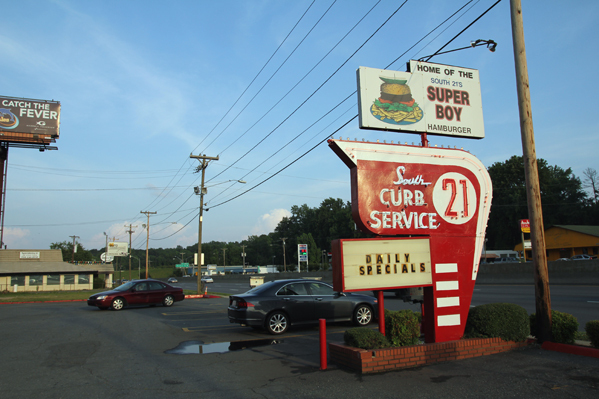 I guess that makes it somewhat ironic that it’s called a Super Boy, but I don’t think that’s the establishment’s fault. I’m sure that the time it was invented it was huge, definitely it was a meal in itself, because at the time we didn’t eat as much. But portion size has inflated, and now it seems normal sized. I imagine the regular hamburgers seem almost like sliders. But all that’s okay because it’s still super because of its flavor. I think South 21 makes my favorite burgers. The beef has the great griddle flavor, and the ingredients are fresh and amazing. Everything works perfectly together. 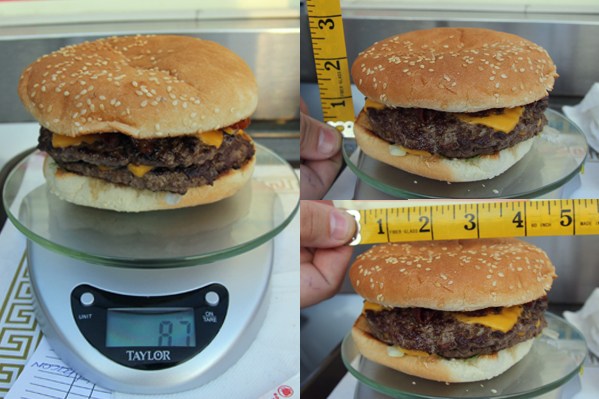 Of this type of burger, it’s the standard by which I compare everything else. 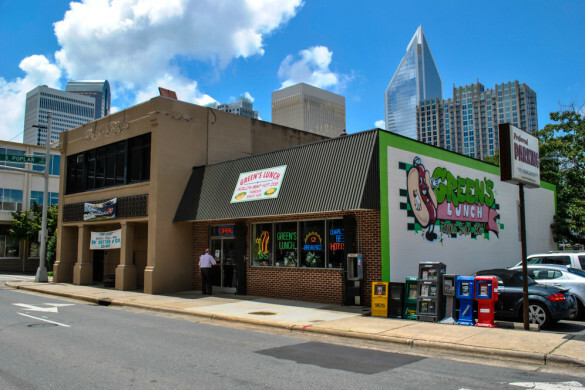 Food: 4.75— South 21 has great food and great burgers. That’s the secret to how they’ve been around this long. 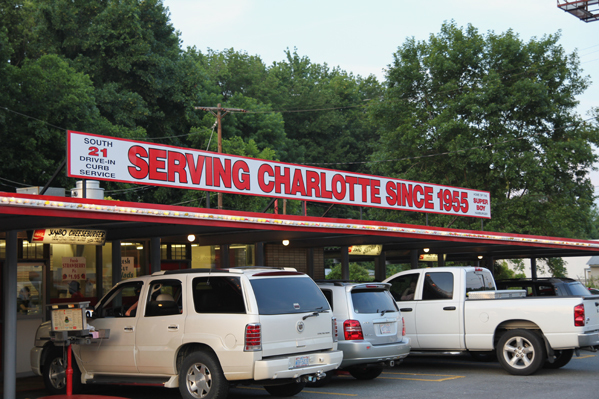 Other burgers will come and go but I hope South 21 continues for another 56 years. 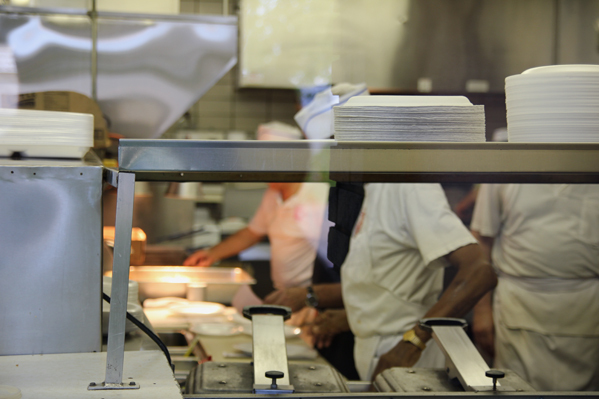 Service: 4.5—This isn’t the type of place that is going to constantly check on you to make sure you’re happy. They bring your food to your car and that’s it. But they’re prompt and courteous. Based on their service model, they’re great. Don’t forget to tip them. 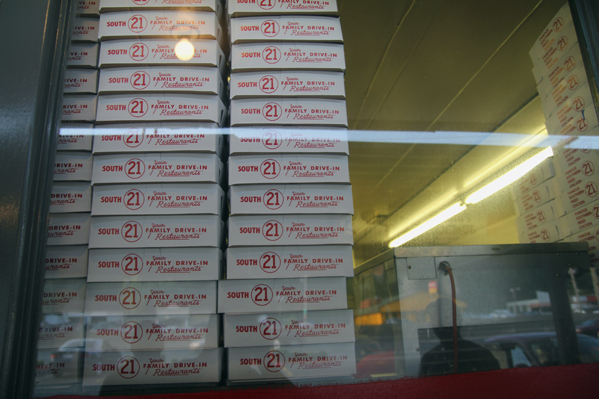 Theme: 3.75— When they were created, South 21’s only theme was that they were a drive-in. Now that has an added tinge of nostalgia, but they don’t have anything else that unifies their identity. That’s okay—I don’t think they need it. 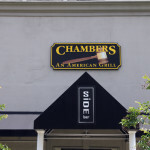 Atmosphere: 5— I guess this partly depends on your car, since that’s where you’ll be eating. I suppose if you’re eating in a 1969 Z-28 Camaro you’ll rate the atmosphere higher than if you’re in an old beat up Pontiac Grand Prix. But everything else about this place is amazing. I would recommend stopping by at night, when you can get the full effect of the sign and the lights. I don’t know if America does anything this cool anymore. Beer Selection: N/A— Understandably, they don’t serve alcohol. Drinking in your car, even when parked, isn’t a good idea. 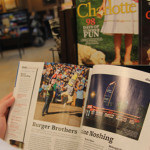 Hereford: So that’s South 21, which is still one of my favorite places in Charlotte. It’s a great, family friendly establishment. But, and I wouldn’t have known this if Matthias hadn’t pointed it out, there’s maybe another side to South 21, one that isn’t quite as wholesome as everything seems on the outside. Angus: After we finished eating, Matthias told us we had to go to the restroom to see the condom machine. That seemed strange to me. One, it seemed odd that someone might get lucky after a date at the South 21, but I guess that’s possible. It mostly seemed strange that Matthias was so excited about showing us a condom machine. Hereford: But this wasn’t just an ordinary condom machine. It was a vintage condom machine. Matthias says it’s been there for as long as he can remember. It looks like it’s from the 70’s, but it’s hard to tell. I think 50 cents might have been a lot to ask for a condom back then, but what would I know. Unfortunately, the machine doesn’t work. Yes, we tried it. But that’s okay, because it’s still awesome. Just like everything else there.